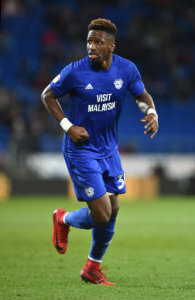 Omar Bogle set for Ipswich move while Bolton are interested in Lee Camp. Cardiff look set to trim some more players off the squad after Mark Harris' move to Newport Conty. Press in Suffolk claim that Bogle is now a loan target for the Tractor Boys after they refused to entertain a £2.5m price tag placed on Accrington striker Kayden Jackson. Meanwhile Lee Camp is said to be a target for Bolton.The source for this one is the same as the Troy Deeney rumour so watch this space for both these possible moves.